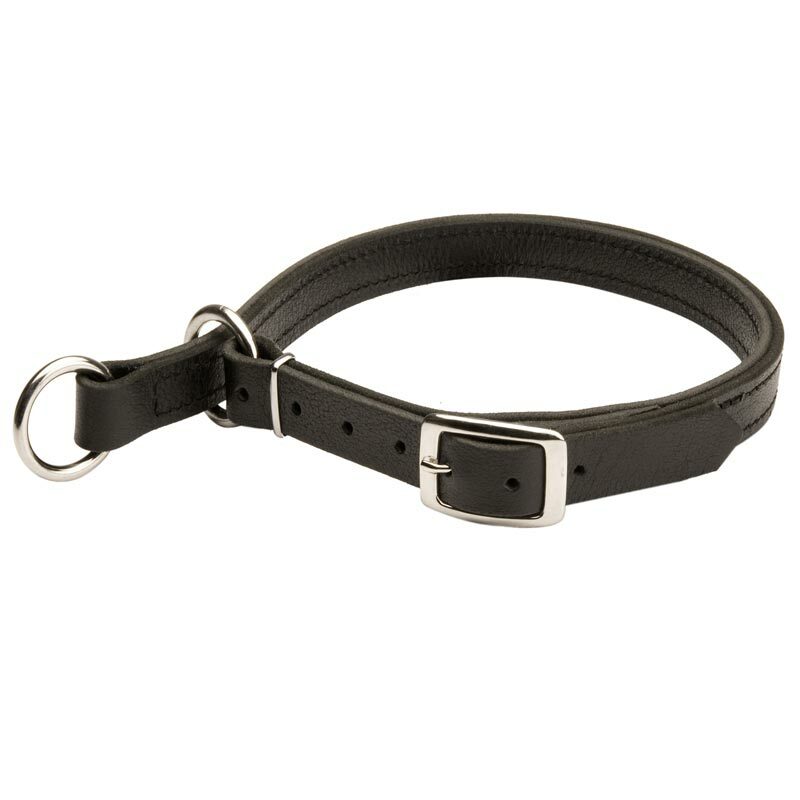 Being made of full grain genuine leather, this Collar is a great choice for handling such powerful dog breed as Rottweiler. Because of top quality dog safe materials, your dog will be protected from rubbing or skin irritation. Be sure our craftsmen did the best to provide your pet with the maximum comfort. This Collar can be used both as choke and usual collar. 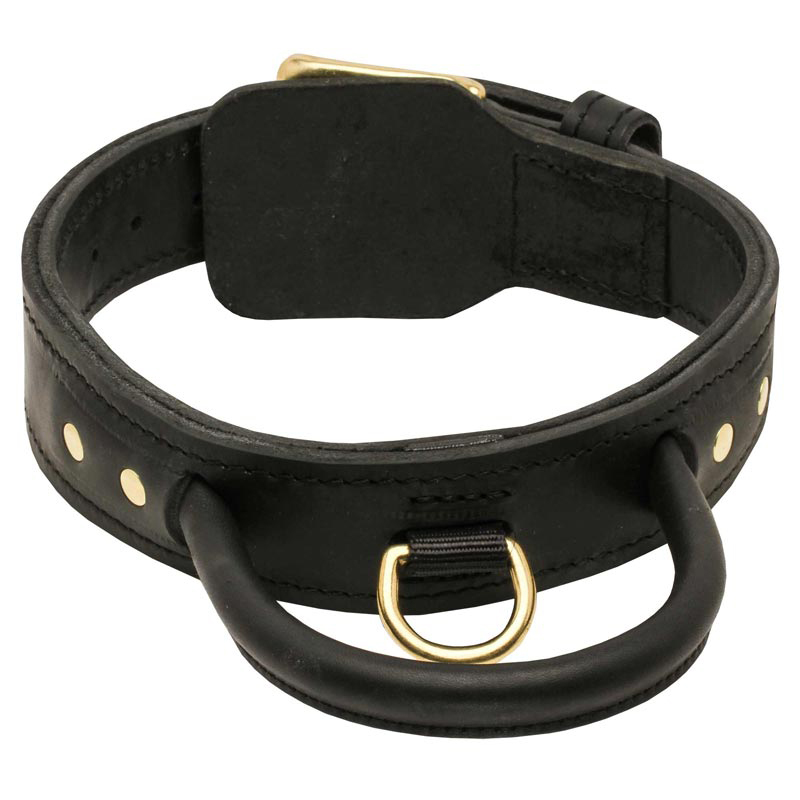 It has special buckle, with its help you can turn this Choke Collar into a usual one. Unbuckle the leather strap and put it through one of the D-rings, another one will be floating, and you will be able to adjust a leash to it. With the help of this Collar you can either to train or to correct your pet’s behavior. 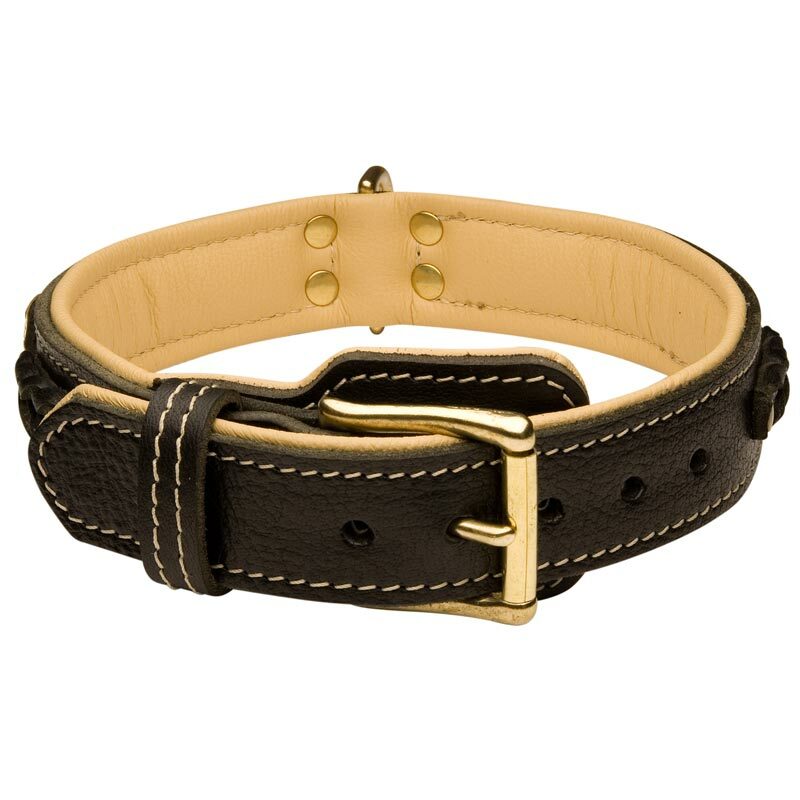 Because of the fact that this Collar is meant also for training, our professionals have attached to it super strong hardware which is steel nickel plated and rustproof, so this dog supply will serve you long.